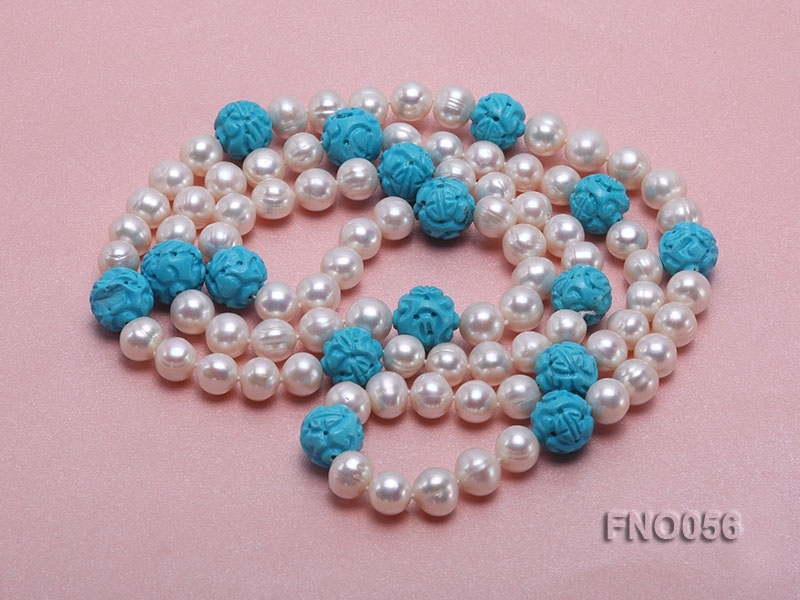 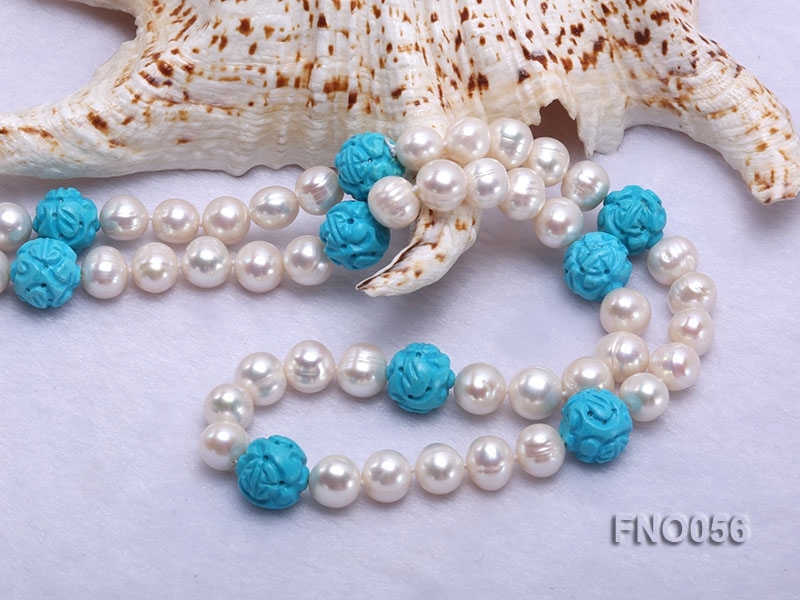 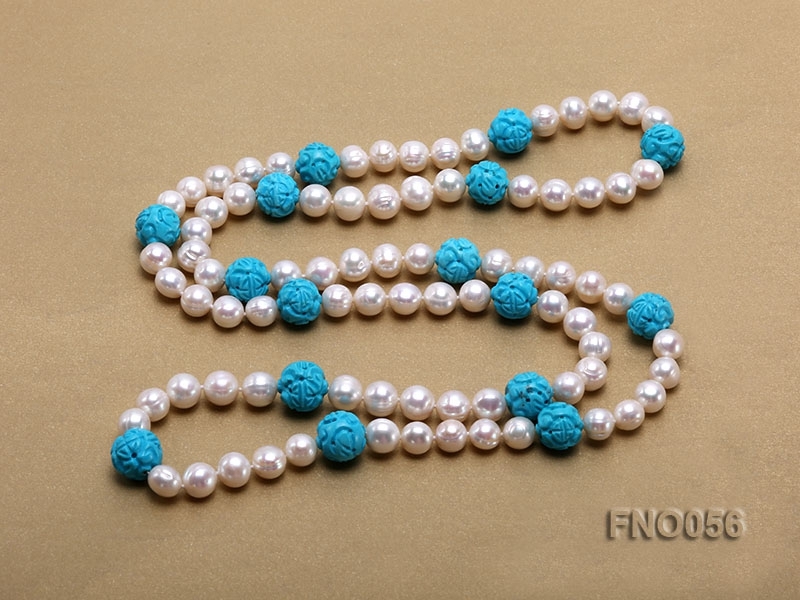 An elegant necklace consisting of genuine white round pearl, alternated with 10mm round blue carved turquoise beads. 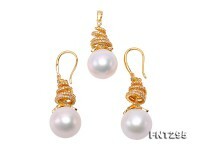 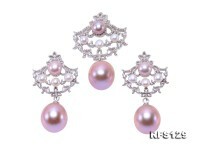 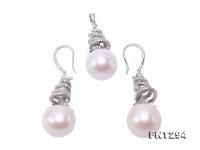 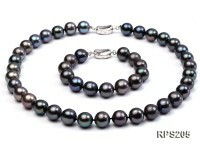 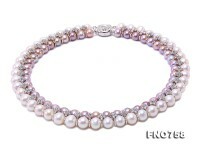 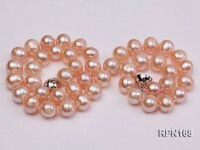 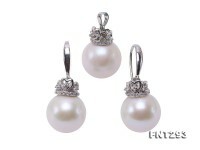 The pearl are approx.9-10mm in diameter. 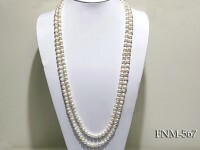 The length is 38 inches. 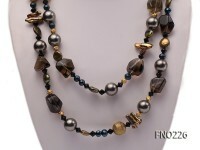 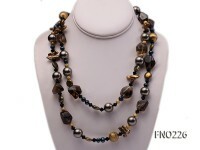 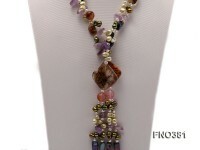 This necklace will make its wearer looks elegant and brilliant. 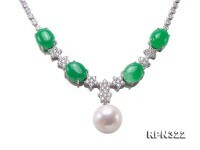 It will disaplay your individuality and temperament. 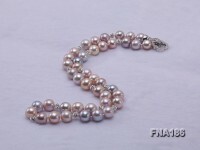 Choose it if you like it.